When you trust Gilbane with your project, you get access to our full range of facility services and expertise, from planning, design, construction, restoration and modernization. Our team, which includes more than 277 LEED accredited professionals, will implement energy conservation design and construction in accordance with DoD directives. You need a partner who can plan and implement a comprehensive energy-management strategy for your existing buildings. 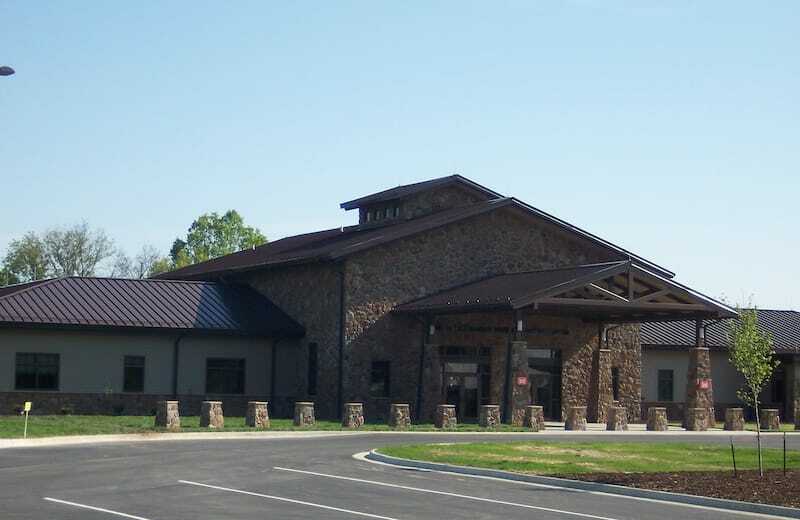 Gilbane provided extensive renovations to a deteriorating building for Rend Lake Administration/Visitors Center located in Benton, Illinois. The facility required an update to meet the needs of the community, new security and Americans with Disabilities Act (ADA) and bring the building to Silver LEED-certified standards. The facility is a companion to the existing five-story, Soviet-era MoD building. The new headquarters consolidated MoD senior leadership and support staff offices located throughout Kabul. Facilities include over 8,000 square feet of administrative offices, auditorium, training rooms, secure parking, a secure national command center, ancillary and mixed-use areas, basement parking and controlled access to upper floors.